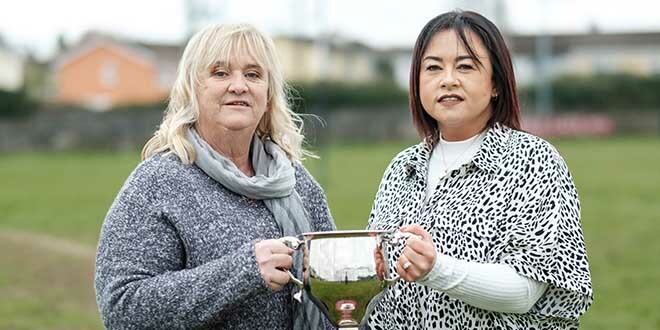 After four years guiding the Clare intermediate ladies football team, Ennistymon woman Deirdre Murphy has stepped down from her post. Her decision will be conveyed to next Tuesday’s November meeting of the Clare Ladies Football County Board. The highlight of Deirdre Murphy’s time in charge was on September 27 in Croke Park, when Clare defeated Fermanagh in the All-Ireland intermediate final, thus securing senior status for 2010. Clare won the Division 2 league title in 2008 and played Division 1 league football this season. Their All-Ireland win came after defeat in the 2008 final and losing two successive All-Ireland semi-finals. “I’m so delighted for the girls. They worked hard. They never put the heads down. “They kept fighting for everything,” Deirdre Murphy told The Clare Champion after Clare won the intermediate All-Ireland in September. It’s likely that David O’Brien, Dan Sheedy and Joe Garry, who were part of the All-Ireland winning management team, will be approached to take over for 2010. However, Clare’s Munster championship winning management team, which included JJ O’Dea and Davy Browne may also be in the running. John Fennell, who was part of the management team when Clare won their only Munster senior championship title in 2001 might also come into consideration. On top of winning the intermediate title this year, Clare teams have experienced plenty of success at U-14, U-16 and minor level in recent years. Next Liam McHale to link up with Clare footballers?